The Guildhall, for those who don’t know, was basically the town hall for medieval London; it is now the only surviving stone building in the City from before the Great Fire which isn’t a church. And, again for those who don’t know, when I say ‘the City’, I don’t mean ‘the city’; i.e. not the whole metropolis of London, but the City of London, the area within the medieval city walls, which now operated as its own special little fiefdom by the Corporation of the City of London. It’s the kind of place where you can’t throw a plate of tapas without hitting a banker or a lawyer. The Guildhall Art Gallery is another gallery which I decided to check out because it’s on the Art Fund list and I’d never been there. Unlike the Guildhall, the gallery building is fairly new. The original gallery was extensively remodelled by the Luftwaffe in 1941 and didn’t reopen until 1999. And the building is rather grand — though if the City of London couldn’t grub together a few quid to build an art gallery, it’s hard to imagine who could. The actual art was a bit underwhelming (or at least not my taste). Especially so at the moment as they are between exhibitions, so one of the large rooms was closed. What was left was a load of portraits of royalty and City grandees (Lord Mayors, heads of livery companies, yawn), some scenes of London, and a selection of Victorian/Pre-Raphaelite paintings. Some of their Pre-Raphs are rather famous, but still: really not my favourite thing. The amphitheatre was quite interesting, although rather less spectacular than the word might suggest. Ephesus it ain’t. They didn’t even know it was there until 1988, when archeologists found it, and they decided to incorporate it into the building of the new gallery. So you go down to the basement and you can see a section that was the entranceway. Basically it’s a few traces of wall and some wooden drain, but it was interesting to see it. 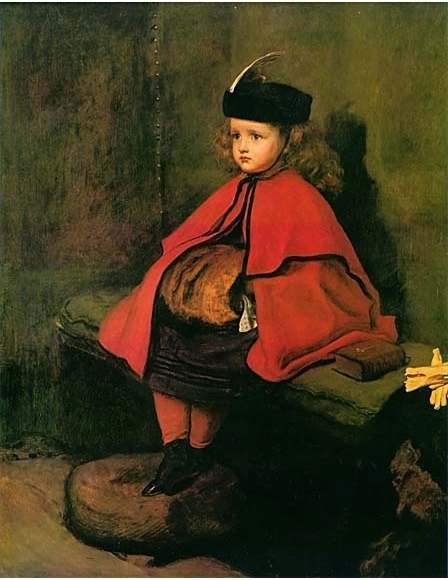 » The painting is My First Sermon by John Everett Millais. 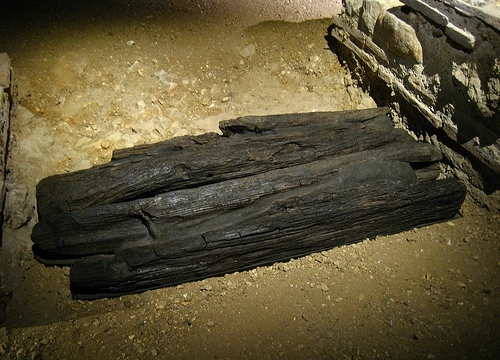 The photo is of a bit of the 2000-year-old wooden drain from the Roman Amphitheatre. OPH 2008__0079_Guidhall.JPG is © king_david_uk and used under a CC by-nd licence.